Note: Some vendors on this page may actually still be active but no longer offer a LIMS, LIS, ELN, CDMS, SDMS, or other tracked product. They likely appear on this list because in the past they offered such an informatics product but chose to discontinue it. is still active but no longer develops and/or distributes laboratory, scientific, or clinical informatics software or software packages. Beijing Teleh Electronic Tech Co., Ltd. Bio-2000, TL LAB2000 China Company website went dark in 2018, and it appears the business closed. ChemSW, Inc. Mass Spec Tools United States Acquired by Accelrys, Inc. on September 3, 2013; absorbed into Dassault Systèmes SA on April 29, 2014. Dionex Corporation Chromeleon N/A Acquired by Thermo Scientific in May 2011. Fully absorbed into company ~ 2017. Labtronics Inc. LimsLink CDS N/A Bought by PerkinElmer Inc. in May 2011. Promium, LLC Mint Miner United States Company still active, but discontinued its Mint Miner software sometime in 2018. Accelrys, Inc. Accelrys ELN, Contur ELN/iLabber N/A Accelrys was acquired by Dassault Systèmes SA on April 29, 2014. ArtusLabs, Inc. Ensemble ELN N/A Bought by PerkinElmer Inc.
CambridgeSoft Corporation E-Notebook N/A Bought by PerkinElmer Inc. in March 2011. Cognium Systems SA iPad ELN N/A Dissolved in the summer of 2014. Contur Software AB Contur ELN/iLabber N/A Changed name of ELN from ConturELN to iLabber July 19, 2011. EZQuant Ltd. EZQuant-ELN N/A Website went dark June 2017.
irisnote, Inc. irisnote United States Closed before it fully went into operation. See Rescentris, Inc. Laboratory Data Solutions Ltd. Labnotes N/A The company officially dissolved on September 10, 2013. Labtronics Inc. Nexxis ELN N/A Bought by PerkinElmer Inc. in May 2011.
no longer markets its ELN. Open source software solution Electronic Laboratory Notebook N/A The project terminated in the winter of 2007. Rescop BV RC-ELN The Netherlands Company removed ELN and LIMS offering from website in 2018. Still active. to have a stand-alone ELN offering anymore. SparkLix Bio IT Corp. SparkLix N/A The service was discontinued in the summer of 2014. STARLIMS Corporation STARLIMS Electronic Notebook N/A Changed name to Abbott Informatics Corporation on May 30, 2014. Symyx Technologies Inc. Symyx ELN N/A Merged with Accelrys, Inc. in 2010.
though may still be active in some capacity. Sysment Kft. Sysment Notebook Hungary Still active but removed Notebook from website in 2017. TailorDev SAS artich.io France Still active, but the artich.io ELN project never completed. 3rd Millennium, Inc. ARDAS United States Still active but no longer develops/distributes ARDAS. it no longer develops/distributes DAWN LIMS. Accelrys, Inc. Accelrys LIMS N/A Accelrys was acquired by Dassault Systèmes SA on April 29, 2014. Laboratory Applications and VeriLIMS (Pty) Ltd. not clear. Agencourt Bioscience Corp. Galaxy LIMS N/A Bought by Beckman Coulter, Inc. in 2005. ALTIK SAS SOLUTION Laboratoire N/A Bought by Limseo SARL in September 2013. Amersham Biosciences Corp. Scierra LWS N/A Bought by General Electric. APAC GmbH APA-LIMS Germany Company is still active but seems to no longer offer APA-LIMS. to form Life Technologies Corporation. SQL*LIMS from Life Technologies in 2009.
arivis AG scarabLIMS N/A/ Company is still active but sold scarabPLUS/LIMS to Sempai Consulting. Baze Technology AS BazeLab LIMS Norway Company is still active but phased outs its BazeLab LIMS in September 2016. BioTeam Inc. MiniLIMS N/A Company is still active but no longer offers MiniLIMS. and by extension bizzApps BV. Bode Technology Group, Inc. BodeLIMS N/A Acquired by LabCorp, merged into Bode Cellmark Forensics, Inc. in early 2015. Bridge-Soft, LLC QMS, VDP N/A Per owner, LIMS no longer offered and business will be closed by end of 2014. CambridgeSoft Corporation Workflow LIMS N/A Bought by PerkinElmer Inc. in March 2011. CannaSys, Inc. CannaLIMS N/A Website went dark in late-May, company email server down. Closed? ChemWare, Inc. HORIZON Central N/A Acquired by Dohmen Co., HORIZON transferred to Red Arrow Labs, LLC. ChikPea, Inc. ChikPea LIMS United States Company still active, but discontinued LIMS sometime after February 2015. Chromasoft GmbH Lab21 LIMS Germany Website went dark in Summer 2007, status unknown. Cimarron Software, Inc. SDK N/A Created custom LIMS until was absorbed into Sampleminded, Inc.
in 2010, apparently ending PARTISAN. Computer Sciences Corporation CSC LIMS N/A Merged w/ Hewlett Packard Enterprise to form DXC Technology. Creon Lab Control AG Q-DIS/QM N/A Bought by Waters Corporation. LIMS phased out? CSS LIMS GmbH iLIMS N/A Merged to form INTEGRIS LIMS GmbH in March 2017. Dataplex Technologies, Inc. Key Solutions N/A Website went down in 2013 and presumed inactive. Datasign AG KinLIMS N/A Bought by Unilog S.A. in 2001.
according to Washington Corporations Division. e-BiOnary Technologies Ltd. e-BiOData N/A Website went dark sometime in 2017; status presumed closed. EKM Corporation LABTrack N/A Former reseller of LABTrack, LLC's LABTrack software. EPractice Corporation EPracticeLAB N/A Website went dark in 2017. Both EPractice and associated company Elsys, Inc.
listed in poor standing with Maryland. Presumed closed. Finna Technologies, Inc. LabAnalyst.NET N/A Previously offered XML-based LIMS. Website went dark in 2011. First Align FirstAlign LIMS N/A Offered its LIMS until roughly late 2008. GraphLogic, Inc. Sequencing LIMS, Service Center LIMS N/A The company dissolved November 21, 2011.
also carried on to Phase Forward. GyroDimensions, Inc. BioInfoStream United States In late 2018 "officially" changed business model to education. Hollison Technologies CIMS United States Company still active but no longer appears to offer CIMS. discontinued their LIMS in 2014.
i-punkt Software GmbH LABORA N/A Bought by MAQSIMA GmbH in 2001.
doesn't seem to have survived the transition to Siemens. iLab Lab Materials Management N/A Acquired by Agilent Technologies, Inc. in August 2016.
both IMR Tech and MATware appear defunct. In Siliflo, Inc. In Siliflo LIMS N/A Website went offline in early 2016, and annual filings for 2017 overdue. Presumed closed. Inflection Point Solutions, LLC custom United States Removed PIMS from website in '17. Merged with Westin Technology solutions in May 2018. INAS Datentechnik GmbH QBase 5.0 N/A Developed and sold it's LIMS until about 2007. Ingensis Limited TLIMS N/A Sold its clinical trials LIMS until late 2005. INLOG SA ANALYS, EDGELab N/A On 31 August 2014, INLOG ceased functioning as "a Haemonetics Company"
and was fully absorbed into Haemonetics Corporation. continuing development on some products. Instem Computer Systems Ltd. DATATOX-F1 N/A Sold and changed name to Instem, Ltd. in 2000. Name changed again to Capula, Ltd. in 2002. Integromics SL OmicsOffice N/A Former product was called ArrayHub. Acquired by PerkinElmer Inc. in July 2014, defunct in early 2017. LabHQ Ltd. LabHQ N/A LabHQ LIMS was transferred to SkySource Ltd, and LabHQ Ltd.
officially dissolved on March 5, 2013. LabIT Solutions AB LabMaster N/A Bought by Software Point Oy in 2010. LabMaster now a Software Point product. LabPlus Technologies, Inc. LabPlus, LimsLink N/A Officially dissolved November 27, 2013. LabSys Ltd. LabSys LIMS N/A LabSys Ltd. officially dissolved on May 22, 2010. LabTech, Inc. Kuiper-LIMS United States Company still active but Kuiper-LIMS was discontinued sometime in 2015. Latent Logics Infosoft Pvt. Ltd. Lab Pro 2004 India Website down since March 2016. India shows company inactive, effective date unknown. LeanRP Q-Cent N/A Domain name expired on 8/29/2014. Company and product never reappeared on web. Lemm Tech Enterprises, Inc. Labvironment United States The company is operational but it no longer offers Labvironment. LIMSCentral, LLC LIMSCentral N/A Website went dark in late 2015 or early 2016. Presumably out-of-business. Management Systems Designers, Inc. FLIMS N/A Bought by Lockheed Martin in 2007. MBIS, Inc. b.a.r.d. LIMS Algeria Formerly a product of Forensic Technology, Inc.
MedToxSoft, LLC MedTox LIMS N/A Became WESeeIT, LLC in July 2011. That company page was never updated and eventually shut down. Micronic Europe BV Track-IT N/A Company still active, but discontinued LIMS sometime after March 2016. Mikon AS Mikon LIMS N/A Bought by Prevas AB in 2007.
into subsidiary Ventyx, Inc. on February 6, 2012. Moxie Informatics, LLC Moxie N/A Company dissolved January 5, 2018. Inc. Later became Columbia Energy & Environmental Services, Inc. Object Solutions Software AG OS-LIMS N/A Renamed to SpecPage AG July 2015. Open-source software solution FreeLIMS N/A See the entry on LIMS at work GmbH for more info. Orga Lab GmbH CSI-LIMS Germany The company is operational but it no longer offers CSI-LIMS. PANalytical BV SPARCS N/A Became Malvern Panalytical BV in January 2017. Phase Forward Incorporated LabPas LIMS, Waban LIMS N/A Acquired by Oracle Corporation in August 2010. See article for full history. ProBioData GmbH BioProcessDB N/A Company website went dark sometime in 2018. Presumed closed. Qualtrace International Ltd. QualTrace LIMS N/A Was marketed until about 2005. QBCon (Pty) Ltd. Lab-i N/A The company website went dark sometime in mid- to late 2016. QM-Tek (Pty) Ltd. VeriLIMS South Africa Discontinued VeriLIMS in 2018. Still active. raytest Isotopenmessgeraete GmbH Raphaela RS N/A Was merged into Elysia to form Elysia-raytest GmbH in September 2017. Rescop BV RC-LIMS The Netherlands Company removed ELN and LIMS offering from website in 2018. Still active. RDS Nordest Srl CQT2000 LIMS N/A Company website went dark in late March 2017. Company may have went into bankruptcy. ReTiSoft Inc. Datapilot Canada Company still active, but Datapilot seems to have been phased out as of 2013. SAME Sistemas Informáticos SA CALIBRA2002, LIMS2000i N/A Website shut down in 2012. Presumed closed. Sarla Technologies Pvt. Ltd. PLIMS India While still active, the company phased out PLIMS in late 2014. Sciformatix Corporation SciLIMS United States Website went dead in 2015, and company owner changed jobs. Presumed dissolved. Siri Technologies Pvt. Ltd. SIRI LIMS N/A Website shut down in 2012. Presumed closed. SkySource Ltd. LabHQ United Kingdom Changed name to Broughton Software Ltd.
STARLIMS Corporation STARLIMS N/A Changed name to Abbott Informatics Corporation on May 30, 2014. Stone Bond Technologies, LP EE-LIMS, MicroLIMS N/A Company still active, but presumably shut down life sciences division in '13 or '14. Sullivan Software LABTROL N/A Seems to have been a FoxPro-based LIMS. No other info. Summit Research Services Metabase N/A Website shut down sometime after mid-April 2016. Presumed closed. W-Instrum, WQC N/A Offered QA/QC LIMS until website shut down in 2012. System Approach, Ltd. Lab Keeper Russia Company still active, but Lab Keeper LIMS not offered anymore. Telecation Aspen LIMS, Conifer LIMS N/A Telecation bought by OPS Systems in 2004. OPS Systems bought by Hach Company in 2009. Zumatrix, Inc. apparently supporting Aspen LIMS. Tellac Applications TELLAC'Suite N/A Bought by APILOG Automation group in 2001. Tieto Corporation Seamless LIMS Finland Company still active, but product discontinued in roughly late 2013. Tropical Software Solutions, Inc. LabPartner N/A Per Florida Department of State, business inactive. TUSC Computer Systems METRIX N/A Changed name to TUSC IT Scripts. 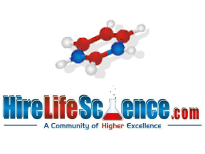 Sold METRIX to LabWare, Inc.
Two Fold Software Limited Qualoupe LIMS N/A Company went insolvent November 26, 2018. UNIConnect LC UNIFlow N/A Acquired by Sunquest Information Systems, Inc. on November 10, 2016. Ventyx, Inc. CCLAS United States Mincom Pty. Ltd. absorbed into Ventyx along with CCLAS on February 6, 2012. Ventyx became ABB Enterprise Software on January 30, 2015. VeriLIMS (Pty) Ltd. VeriLIMS N/A Acquired by QM-Tek (Pty) Ltd. October 2016.
or 2014. Status not clear. Waban Software, Inc. Waban LIMS N/A Bought by Phase Forward Incorporated in 2009. Waban LIMS now controlled by Phase Forward. White Point Systems, Inc. NAPIS N/A Company discontinued offering NAPIS late '16 or early '17, status unknown. Xenco Software EnviroLIMS United States Became Xenco Laboratories and discontinued LIMS near end of 2004. YourLabData.com Your Lab Data N/A The website ceased to operate sometime after February 9, 2014. Zumatrix, Inc. Matrix Gemini N/A Used to distribute and support Autoscribe Ltd.'s product. Now absorbed into subsidiary Autoscribe Informatics Inc.
ACT Medisys, Ltd. INTEGO N/A Bought by iSoft. Al-Maharaat Company Maxim-LIS Iraq Still operational, but removed LIS software from website in 2018. Antek HealthWare, LLC LabDAQ United States Merged into CompuGroup Medical, Inc. December 31, 2011. See Antek record for more info. Sunquest was bought by Misys plc in 2001. Torex was bought by Clinisys Solutions Limited in 2005. Benetech, Inc. G*LIS Canada Company still active, but stopped marketing G*LIS sometime after May 1, 2013. Bio-Analytical Technologies Pvt. Ltd. PathlabSys India Company still active, but stopped marketing PathlabSys sometime after February 2017. Biomar Technologies, Inc. LAB Wizard N/A Went bankrupt. Cambridge Biotech Software, Inc. POLARIS N/A Company officially dissolved August 15, 2008. CDS Group, Ltd. TelePath, DDMS N/A Bought by ACT Medisys, Ltd.
into CollabRx to form Rennova Health, Inc. on November 2, 2015. Dedalus SpA Dedalus LIS Italy Company still active but no longer offers LIS. DOMA Technologies, LLC DOMA LIS United States Company still active but no longer offers LIS. Eclipsys Corporation Sunrise Laboratory N/A See Allscripts. Eclispsys merged with Allscripts in 2010.
between May and July 2013. Entre Technology Group GenesysNSL N/A Website went dark some time in 2017. Exleaz Solutions Limited MediEaz LIS N/A Website went dark some time in 2017. Glivytech Services Pvt. Ltd. AcutCare LIS N/A Websites went dark some time in the summer of 2017. Health Science Systems OPUS N/A Bought OPUS Healthcare Solutions, Inc and assumed its name. Healthcare Management Systems, Inc. HMS Laboratory N/A Became MEDHOST, Inc. on Dec. 16, 2013. IMPAC Medical Systems, Inc. IntelliLab N/A Bought by Elekta AB in 2005. INLOG SA EDGElab, SAPANET N/A On 31 August 2014, INLOG ceased functioning as "a Haemonetics Company"
IntelliData, Inc. IntelliLab N/A Bought by IMPAC Medical Systems, Inc. in 2002. ISYS/Biovation Messenger N/A Website shut down in mid-2014. Status assumed dissolved. Keane, Inc. Keane Optimum United States Purchased by and absorbed into NTT DATA Corporation. LAB-InterLink LAB-Manager N/A Bought Labotix Automation, Inc. in 2000; took that name in 2007. Labotix Automation, Inc. RRUSH N/A Bought by Cerner Corporation March 18, 2013. M/MGMT Systems, Inc. M/LAB N/A Bought by Common Cents Systems, Inc. in 2006.
division to Allscripts in October 2017. Merge Healthcare Inc. Merge LIS N/A Acquired by IBM. Mukon CC PathWay N/A Changed name to Mukon Informatics (Pty) Ltd. in mid-2016. Multidata Computer Systems, Inc. MultiTech N/A Closed November 2016. Neusoft Medical Systems Co., Ltd. Neusoft LIS China Company still active but discontinued LIS in January 2018.
canceled trademark for HYBRID in 2008. NoemaLife SpA DNLab N/A Acquired by Dedalus SpA in June 2016. NTT DATA Corporation Optimum Clinicals Japan, United States Website update in '17 or '18 removed mention of Optimum Clinicals LIS. Company still active. Pact Sotraig SARL ADLAB-400 N/A In early 2015, the Pact Sotraig website shut down. The business is presumed to be closed. PROTEK Dental Medikal Sanayi ve Ticaret Ltd. Şti. i-LIS N/A Website went dark in 2017. QuadraMed Affinity Corporation QCPR United States Still active, but removed QCPR from website in 2018. Rabbit Healthcare Systems Rabbit EHR United States Website went down sometime in late 2014 or during 2015. Presumed closed. Roche Diagnostics IT Solutions GmbH SWISSLAB Germany Acquired Swisslab GmbH in 2009.. Sold to NEXUS AG in November 2018. SGS Cortex Quality Software LAB/400 N/A Was bought by Cegeka in 2005. Shreay Technology Solutions Locus India Removed its health informatics software from website in 2018. Still active. Swisslab GmbH SWISSLAB N/A Acquired and made part of Roche Diagnostics IT Solutions GmbH in 2009. Sysware Healthcare Systems, Inc. SYSWARE LIS N/A Bought by Eclipsys Corporation in 2006. Tieto Corporation FlexLab/Kemi, FlexLab/SymPathy Finland Company still active, but product discontinued in roughly late 2013.
marketing its LIS TriLab on its website. Triple G Corporation ULTRA LIS N/A Bought by GE Medical Systems Information Technologies in 2003.
and then CliniSys Solutions Limited in 2004. Labtronics Inc. Nexxis SDMS N/A Bought by PerkinElmer Inc. in May 2011. Poplar Solutions, LLC Labcore SDMS N/A Website went dead in early 2018. The company is presumably closed. SDMSSoft, LLC SDMS Software N/A The website went offline in the fall of 2015. The company is presumably closed. STARLIMS Corporation STARLIMS SDMS N/A Changed name to Abbott Informatics Corporation on May 30, 2014. ↑ "Accelrys Acquires Environmental Health and Safety Leader ChemSW". ChemSW, Inc. 03 September 2013. http://www.chemsw.com/News/Press-Releases/articleType/ArticleView/articleId/41/Accelrys-Acquires-Environmental-Health-and-Safety-Leader-ChemSW.aspx. Retrieved 12 September 2013. ↑ 2.0 2.1 2.2 "Dassault Systèmes Successfully Completes Acquisition of Accelrys". Dassault Systèmes SA. 29 April 2014. http://www.3ds.com/press-releases/single/dassault-systemes-successfully-completes-acquisition-of-accelrys/. Retrieved 04 September 2014. ↑ "Thermo Fisher Scientific Completes Tender Offer for Dionex Corporation". 16 May 2011. http://www.dionex.com/en-us/events/corporate/2011/lp-110771.html. Retrieved 16 November 2011. ↑ "PerkinElmer Acquires Labtronics Inc.". PerkinElmer Inc. 16 May 2011. http://www.labtronics.com/news/May11_PerkinElmer_Acquires_Labtronics.htm. Retrieved 16 November 2011. ↑ "Agilent Technologies Completes Acquisition of Varian, Inc." 14 May 2010. Retrieved 16 November 2011. ↑ "PerkinElmer Signs Agreement to Acquire CambridgeSoft Corporation and Completes Purchase of ArtusLabs, Inc." PerkinElmer. 24 March 2011. Retrieved 15 November 2011. ↑ "PerkinElmer agrees to buy CambridgeSoft" Boston.com. 24 March 2011. Retrieved 25 May 2011. ↑ "Home - Contur". Contur Software AB. Archived from the original on 10 August 2011. http://web.archive.org/web/20110810024836/http://contur.com/home/. Retrieved 03 February 2013. ↑ McBride, Ryan (23 May 2011). "Accelrys buys Contur for $13M in another electronic lab notebook buyout". FierceBiotechIT. http://www.fiercebiotechit.com/story/accelrys-buys-contur-13m-another-electronic-lab-notebook-buyout/2011-05-23. Retrieved 03 February 2013. ↑ "WebCHeck: Company number 04358990". Companies House. http://wck2.companieshouse.gov.uk//wcframe?name=accessCompanyInfo. Retrieved 27 September 2013. ↑ "EMSL Collaboratory - Notice to Users". Pacific Northwest National Laboratory. 31 October 2007. http://collaboratory.emsl.pnl.gov/software/software-notice.shtml. Retrieved 30 January 2013. ↑ 13.0 13.1 13.2 "Articles of Amendment to Articles of Incorporation of Starlims Corporation" (PDF). Florida Department of State. 30 May 2014. http://search.sunbiz.org/Inquiry/CorporationSearch/ConvertTiffToPDF?storagePath=COR%5C2014%5C0604%5C00126887.Tif&documentNumber=S15157. Retrieved 24 March 2016. ↑ "Accelrys, Inc. and Symyx Technologies, Inc. Announce Merger". Accelrys, Inc. 5 April 2010. http://ir.accelrys.com/releasedetail.cfm?ReleaseID=539071. Retrieved 18 February 2013. ↑ "Synbiota Store". Synbiota, Inc. Archived from the original on 30 March 2017. https://web.archive.org/web/20170330053740/https://synbiota.com/. Retrieved 12 April 2018. ↑ Kaustinen, Kelsey (03 January 2012). "Accelrys nabs VelQuest for $35 million, strengthens paperless offerings". Old River Publications LLC. http://www.drugdiscoverynews.com/index.php?newsarticle=5668. Retrieved 15 February 2013. ↑ "Accelrys Lab Execution System". Accelrys, Inc. Archived from the original on 17 January 2013. http://web.archive.org/web/20130117045929/http://accelrys.com/products/process-management-and-compliance/lab-execution-system/index.html. Retrieved 15 February 2013. ↑ "Agencourt Bioscience garners $100M in sale to Beckman" Boston Business Journal. 27 April 2005. Retrieved 18 May 2011. ↑ Bourgeois, David (10 September 2013). "Limseo achète l’activité Solution Laboratoire à Altik". Limseo SARL. http://solution.limseo.eu/archive/2013/09/10/limseo-achete-solution-laboratoire.html. Retrieved 09 October 2014. ↑ "Limseo achète l’activité Solution Laboratoire à Altik". la gazette du laboratoire. 17 September 2013. http://www.gazettelabo.fr/breves/breves.php?id=3181. Retrieved 09 October 2014. ↑ "Amersham, GE merger on track for April" DDDMag.com. 22 January 2004. Retrieved 20 May 2011. ↑ "Invitrogen, Applied Biosystems will be Life Technologies Corporation" DDDMag.com. 05 November 2008. Retrieved 17 May 2011. ↑ "Applied Biosystems, Invitrogen complete $6.7 billion merger" San Francisco Business Times. 21 November 2008. Retrieved 30 May 2011. ↑ "LabVantage Completes Acquisition of Life Technologies Corporation’s SQL*LIMS Business" LabVantage. 10 August 2009. Retrieved 17 May 2011. ↑ "Baze Technology". Baze Technology AS. Archived from the original on 08 September 2016. https://web-beta.archive.org/web/20160908050435/http://www.bazetechnology.com/. Retrieved 20 April 2017. ↑ "BioTeam Products". BioTeam Inc. Archived from the original on 03 May 2016. https://web.archive.org/web/20160503161537/http://www.bioteam.net/products/. Retrieved 21 July 2016. ↑ "OpenText Buys Cordys to Expand BPM and Case Management". OpenText Corporation. 16 August 2013. Archived from the original on 29 August 2013. https://web.archive.org/web/20130829011317/http://www.opentext.com/2/global/press-release-details.html?id=66B58B6F88534A9CA41B4E14A6018C6A. Retrieved 05 September 2014. ↑ "Our New Brand - Bode Cellmark Forensics". Laboratory Corporation of America Holdings. https://www.bodecellmark.com/why-cellmark-forensics/our-new-brand-bode-cellmark-forensics. Retrieved 13 April 2018. ↑ "Cardiac.no" CARDIAC AS. Retrieved 18 May 2011. ↑ "Imatis - About Us" Imatis AS. Retrieved 18 May 2011. ↑ Kirchen, R. (03 January 2014). "Dohmen acquires two Milwaukee firms". Milwaukee Business Journal. American City Business Journals, Inc. https://www.bizjournals.com/milwaukee/news/2014/01/03/dohmen-acquires-two-milwaukee-firms.html. Retrieved 24 August 2017. ↑ "About: Who We Are". Red Arrow Labs, LLC. Archived from the original on 24 August 2017. https://web.archive.org/web/20170824175706/http://horizonlims.com/about/. Retrieved 24 August 2017. ↑ "ChikPea - Features". ChikPea, Inc. Archived from the original on 05 February 2015. https://web.archive.org/web/20150205165814/http://chikpealims.com/product.html. Retrieved 12 October 2015. ↑ "Company Overview of Cimarron Medical Software, Inc.". Bloomberg LP. http://www.bloomberg.com/research/stocks/private/snapshot.asp?privcapId=312514255. Retrieved 22 July 2016. ↑ "Sun BioPharma, Inc.". U.S. Securities and Exchange Commissioner. 24 September 2015. https://www.sec.gov/Archives/edgar/data/1029125/000147793215006215/snbp_8k.htm. Retrieved 22 July 2016. ↑ "Clondiag Chip Technologies GmbH" Life Sciences Germany. Retrieved 19 May 2011. ↑ McLean, A. (15 February 2017). "DXC Technology to emerge from CSC and HPE Enterprise Services merger". ZDNet. CBS Interactive, Inc. http://www.zdnet.com/article/dxc-technology-to-emerge-from-csc-and-hpe-enterprise-services-merger/. Retrieved 20 April 2017. ↑ "VeriLIMS". Computerised Laboratory Applications (Pty) Ltd. Archived from the original on 03 February 2011. https://web.archive.org/web/20110203140156/http://www.verilims.com/. Retrieved 04 August 2016. ↑ "Waters Acquires Creon • Lab • Control" Scientific Computing. Retrieved 20 May 2011. ↑ "Unilog Acquires Swiss Information Services Group DataSign" HighBeam.com. 26 September 2001. Retrieved 18 May 2011. ↑ "Agri-Labs Information Systems". Desert Oasis Software Company. Archived from the original on 13 March 2016. https://web.archive.org/web/20160313140114/http://agri-labs.com/. Retrieved 05 October 2016. ↑ "Desert Oasis Software Company, LLC". Registration Data Search. Washington Secretary of State. https://www.sos.wa.gov/corps/search_detail.aspx?ubi=602525599. Retrieved 05 October 2016. ↑ "EPractice Inc.: D07080609". Maryland Business Express. State of Maryland. https://egov.maryland.gov/BusinessExpress/EntitySearch/BusinessInformation/D07080609. Retrieved 07 September 2017. ↑ "Elsys Inc.: D03443090". Maryland Business Express. State of Maryland. https://egov.maryland.gov/BusinessExpress/EntitySearch/BusinessInformation/D03443090. Retrieved 07 September 2017. ↑ "LabAnalyst.net: Next Generation XML LIMS". Finna Technologies, Inc. Archived from the original on 08 February 2008. https://web.archive.org/web/20080208050915/http://www.labanalyst.net/. Retrieved 28 July 2016. ↑ "FirstAlign™ Laboratory (LIMS)". First Align. Archived from the original on 03 March 2008. https://web.archive.org/web/20080302083259/http://www.firstalign.com/products/laboratory_software.html. Retrieved 28 July 2016. ↑ "Business Inquiry: Business ID 0749574". Secretary of the State of Connecticut. http://www.concord-sots.ct.gov/CONCORD/online?sn=PublicInquiry&eid=9740. Retrieved 26 September 2013. ↑ "LabPas At-A-Glance" Phase Forward. Retrieved 18 May 2011. ↑ "Firmenprofil - Spektrum" MAQSIMA. Retrieved 18 May 2011. ↑ Kammel, B. (07 February 2012). "Siemens Makes Second Run for Control of IBS in $59 Million Bid". Bloomberg. http://www.bloomberg.com/news/articles/2012-02-07/siemens-makes-second-run-for-control-of-ibs-in-59-million-bid. Retrieved 04 October 2016. ↑ Webb, A. (07 October 2014). "Cambridge Startup Success Shows Challenge for Siemens CEO". Bloomberg. http://www.bloomberg.com/news/articles/2014-10-07/cambridge-startup-success-shows-challenge-for-siemens-ceo. Retrieved 04 October 2016. ↑ "Welcome to nginx!". Archived from the original on 05 March 2016. https://web.archive.org/web/20160305104942/http://www.insiliflo.com/. Retrieved 24 August 2017. ↑ "Federal Corporation Information - 696389-7". Government of Canada. https://www.ic.gc.ca/app/scr/cc/CorporationsCanada/fdrlCrpDtls.html?corpId=6963897. Retrieved 24 August 2017. ↑ "Westin Technology Solutions and Inflection Point Solutions to Merge". Westin Technology Solutions. 08 May 2018. http://stage.westindelivers.com/westin-technology-solutions-and-inflection-point-solutions-to-merge/. Retrieved 07 January 2019. ↑ "Welcome to the LIMS Page of INAS". INAS Datentechnik GmbH. Archived from the original on 04 February 2005. https://web.archive.org/web/20050204045147/http://www.inas.de/. Retrieved 28 July 2016. ↑ "Products". Ingensis Limited. Archived from the original on 06 February 2005. https://web.archive.org/web/20050206184440/http://ingensis.co.uk/index-page3.html. Retrieved 28 July 2016. ↑ 60.0 60.1 "Inlog Website". Haemonetics Corporation. 31 August 2014. Archived from the original on 09 September 2014. https://web.archive.org/web/20140909195719/http://www.haemonetics.com/en-GB/About/News/2014%20News/Inlog-Website.aspx?source=newslist. Retrieved 09 September 2014. ↑ "Thermo Electron Acquires InnaPhase Corporation" Thermo Scientific. 13 September 2004. Retrieved 09 February 2012. ↑ "InnaPhase Continues to Deliver" Scientific Computing. Retrieved 09 February 2012. ↑ "Capula Limited" Companies in the U.K.. Retrieved 18 May 2011. ↑ "WebCHeck - Capula Limited" CompaniesHouse.gov.uk. Retrieved 30 November 2011. ↑ "About Us". Integromics SL. https://www.integromics.com/company/about-us/. Retrieved 05 October 2016. ↑ Carazo, J.-M.. "Jose-Maria Carazo personal page". Centro Nacional de Biotecnología. http://biocomp.cnb.csic.es/carazo. Retrieved 05 October 2016. ↑ "DairyLIMS". Kenny Agrisoft Ltd. Archived from the original on 17 May 2014. https://web.archive.org/web/20140517062708/http://dairylims.com/. Retrieved 13 October 2015. ↑ "Lab7 Systems Appoints New CEO and Changes Name to L7 Informatics". GlobeNewswire. 15 May 2018. https://globenewswire.com/news-release/2018/05/15/1502784/0/en/Lab7-Systems-Appoints-New-CEO-and-Changes-Name-to-L7-Informatics.html. Retrieved 10 January 2019. ↑ "WebCHeck: Company number 06596322". Companies House. http://wck2.companieshouse.gov.uk//wcframe?name=accessCompanyInfo. Retrieved 27 September 2013. ↑ "Software Point aims high on the Nordic market" Finnfacts. 09 April 2010. Retrieved 18 May 2011. ↑ "LabPlus Technologies, Inc.". Office of the Minnesota Secretary of State. https://mblsportal.sos.state.mn.us/Business/SearchDetails?filingGuid=471654a5-88d4-e011-a886-001ec94ffe7f. Retrieved 28 July 2016. ↑ "Company Search - Company Number 154509". Companies Registration Office. http://www.cro.ie/search/CompanySearch.aspx. Retrieved 27 September 2013. ↑ "LabTech - Laboratory Information Management System". LabTech, Inc. Archived from the original on 18 August 2103. https://web.archive.org/web/20130818202307/http://labtechgroup.com/en/cpxxend.php?auto_id=416&auto_code=10071003. Retrieved 13 October 2015. ↑ "Company/LLP Master Data: Latent Logics Infosoft Private Limited". India Ministry of Corporate Affairs. http://www.mca.gov.in/mcafoportal/viewCompanyMasterData.do. Retrieved 30 August 2017. "Search using CIN U72200GJ2004PTC043932"
↑ "Lockheed Martin Completes Acquisition Of Management Systems Designers Incorporated" Lockheed Martin. 01 February 2007. Retrieved 09 May 2011. ↑ "Search Business Entity". Pennsylvania Department of State. https://www.corporations.pa.gov/search/corpsearch. Retrieved 28 July 2016. "Search entity number 4041798"
↑ "WeSeeIT". WESeeIT, LLC. Archived from the original on 13 March 2016. https://web.archive.org/web/20160313114748/http://wseeit.com/. Retrieved 28 July 2016. ↑ "Micronic". Micronic Europe BV. Archived from the original on 15 March 2016. https://web.archive.org/web/20160315140755/http://www.micronic.com/. Retrieved 26 July 2016. ↑ "Prevas Becomes Established in Norway via Industrial IT Acquisition" Prevas. 14 August 2007. Retrieved 19 May 2011. ↑ Kanellos, Michael (09 May 2011). "ABB Buys Another One: Mincom, for Managing Mines". Greentech Media, Inc. http://www.greentechmedia.com/articles/read/abb-buys-another-one-mincom-for-managing-mines/. Retrieved 20 September 2013. ↑ "ABB Acquires Mincom To Expand Enterprise Software Business". Manufacturing Business Technology. Advantage Business Media. 09 May 2011. http://www.mbtmag.com/news/2011/05/abb-acquires-mincom-expand-enterprise-software-business. Retrieved 20 September 2013. ↑ 82.0 82.1 "Ventyx Completes Integration of Mincom; Goes to Market as "Ventyx, an ABB Company"". Ventyx, Inc. 06 February 2012. http://www.ventyx.com/en/company/news/press/20120206-integration-complete. Retrieved 20 September 2013. ↑ "Moxie Informatics, LLC". Maryland Business Express. State of Maryland. 05 January 2018. https://egov.maryland.gov/BusinessExpress/EntitySearch/BusinessInformation/W12683926. Retrieved 10 January 2019. ↑ "Pacific EcoSolutions, Inc." BioPortfolio.com. Retrieved 19 May 2011. ↑ "66--OmniLIMS Maint Agreement" FedBizOpps.gov. 09 September 2009. Retrieved 19 May 2011. ↑ "Malvern Instruments and PANalytical to Merge". Spectris plc. 02 December 2016. http://www.spectris.com/media/press-releases/2016/02-dec-2016. Retrieved 13 April 2018. ↑ "Investors - Phase Forward - Overview" Phase Forward Incorporated. Retrieved 04 June 2011. ↑ "QualTrace LIMS". Qualtrace International Ltd. Archived from the original on 04 June 2004. https://web.archive.org/web/20040604064523/http://www.qualtrace.com/html/laboratory_information.html. Retrieved 28 July 2016. ↑ "Index of /". Archived from the original on 06 October 2016. https://web-beta.archive.org/web/20161006115528/http://www.qbcon.com/. Retrieved 26 April 2017. ↑ "raytest and Elysia - A strong partnership serving the Nuclear Medicine and PET market". Elysia-raytest GmbH. 19 September 2017. Archived from the original on 29 October 2017. https://web.archive.org/web/20171029203128/http://www.elysia-raytest.com:80/en/news/3_raytest-and-elysia-a-strong-partnership-serving-the-nuclear-medicine-and-pet-market. Retrieved 11 January 2019. ↑ "165/2016 RDS Nordest Srl". Portale dei creditori. Zucchetti Software Giuridico Srl. http://www.portalecreditori.it/procedura.php?id=171365. Retrieved 26 April 2017. ↑ "Consultoría e Integación Grupo SAME". SAME Sistemas Informáticos SA. Archived from the original on 07 February 2011. https://web.archive.org/web/20110207104435/http://same-si.com/. Retrieved 28 July 2016. ↑ "Sciformatix". Sciformatix Corporation. 2014. Archived from the original on 18 December 2014. https://web.archive.org/web/20141218093351/http://sciformatix.com/. Retrieved 14 October 2015. ↑ "Tom Kent Joins Maverix as Vice President of R&D". Maverix Biomics. 10 March 2015. http://www.maverixbio.com/2015/03/10/tom-kent-joins-maverix-vice-president-rd/. Retrieved 14 October 2015. ↑ "Siri LIMS". Siri Technologies Pvt. Ltd. Archived from the original on 17 October 2011. https://web.archive.org/web/20111017041715/http://www.siri.in/Products/SiriLIMS.aspx. Retrieved 28 July 2016. ↑ "Professional Software - Laboratory Information Management". lchr.org. Archived from the original on 28 July 2016. https://web.archive.org/web/20160728223541/http://www.lchr.org/a/36/n3/profsoft.htm. Retrieved 28 July 2016. ↑ "Description of PK Solutions Pharmacokinetic Software". Summit Research Services. Archived from the original on 11 April 2016. https://web.archive.org/web/20160411001310/http://www.summitpk.com/pksolutions/pksolutions.htm. Retrieved 05 July 2016. ↑ "QA-Lab". SWAG SL. Archived from the original on 20 May 2010. https://web.archive.org/web/20100520094956/http://www.swaglab.com/lab/LabHome/tabid/119/language/en-US/Default.aspx. Retrieved 28 July 2016. ↑ "Telecation - Software designed by chemists for chemists" Telecation.com. Retrieved 09 May 2011. ↑ "Hach Company Adds Water Information Management Solutions to Product Portfolio" Hach Company. February 2009. Retrieved 09 May 2011. ↑ "Support for Aspen LIMS" Retrieved 9 November 2011. ↑ "QUALIMS - Story" QUALIMS.com. Retrieved 20 May 2011. ↑ "Florida Department of State Division of Corporations" Florida Department of State. Retrieved 6 November 2011. ↑ "Vendor Guide> Forensics" Scientific Computing. Retrieved 19 May 2011. ↑ "The Latest Insolvencies to 04 Dec 2018". Credit Protection Association Plc. 04 December 2018. https://cpa.co.uk/the-latest-insolvencies-to-04-dec-2018/. Retrieved 15 January 2019. ↑ "Sunquest Information Systems Acquires UniConnect". 360 Dx. GenomeWeb LLC. 10 November 2016. https://www.360dx.com/informatics/sunquest-information-systems-acquires-uniconnect. Retrieved 07 September 2017. ↑ "ABB Enterprise SW". Twitter. 30 January 2015. Archived from the original on 04 October 2015. https://web.archive.org/web/20151004181434/https://twitter.com/abb_entrprisesw/status/561155205140856834. Retrieved 04 October 2015. ↑ "LIMS". QM-Tek (Pty) Ltd. Archived from the original on 01 September 2017. https://web.archive.org/web/20170901181344/http://www.qm-tek.com/lims/. Retrieved 06 September 2017. ↑ "Phase Forward buys Waban Software for $14M" Boston Business Journal. 22 April 2009. Retrieved 20 May 2011. ↑ "Xenco Software - LIMS Main". Xenco Software. Archived from the original on 29 May 2003. https://web.archive.org/web/20030529054053/http://www.xenco.com/Lims%20main.htm. Retrieved 28 July 2016. ↑ "YourLabData.com". Archived from the original on 09 February 2014. https://web.archive.org/web/20140209062749/http://www.yourlabdata.com/. Retrieved 30 April 2014. ↑ "Autoscribe launches US operation" Autoscribe Ltd.. Retrieved 02 March 2012. ↑ Wallen, Joanne (14 December 2000). "iSoft asks Father Christmas for ACT Medisys". Citywire Financial Publishers Ltd.. http://citywire.co.uk/new-model-adviser/isoft-asks-father-christmas-for-act-medisys/a216807. Retrieved 09 May 2011. ↑ "Notes for the 2011 Financial Year - Consolidation Principles". CompuGroup Medical AG. 31 December 2010. http://report2011.cgm.com/english/financial-statements/notes07.html. Retrieved 30 April 2013. ↑ "SEC Info - Sunquest Information Systems Inc - 10-K405 - For 12/31/96" SECinfo.com. 31 December 1996. Retrieved 09 May 2011. ↑ "SUNQUEST INFORMATION SYSTEMS INC (Form: SC 14D9, Received: 06/29/2001 08:22:14)" Microsoft Money. 29 June 2001. Retrieved 09 May 2011. ↑ "Torex PLC: Acquisition" Investigate.co.uk. 08 May 2002. Retrieved 09 May 2011. ↑ "Anticipated acquisition by Clinisys Solutions Limited of Torex Laboratory Systems Limited" U.K. Office of Fair Trading. 26 January 2005. Retrieved 09 May 2011. ↑ "PathlabSys, Comprehensive Pathology Laboratory Management Software". Bio-Analytical Technologies Pvt. Ltd. Archived from the original on 16 February 2017. https://web-beta.archive.org/web/20170216131705/http://bioanalytical.net/pathology_lab_management_software.html. Retrieved 20 April 2017. ↑ "National Century Financial Enterprises, Inc., vs. Biomar Technologies, Inc., Case No. 02-65235, United States Bankruptcy Court for the Southern District of Ohio, Eastern Division, at Columbus" (PDF) ohsb.uscourts.gov. Retrieved 09 May 2011. ↑ "In re: National Century Financial Enterprises, Inc., et al." FindACase.com. 27 March 2007. Retrieved 09 May 2011. ↑ "Cambridge Biotech Software, Inc. Summary Screen" Massachusetts Secretary of the Commonwealth, Corporations Division. Retrieved 17 November 2011. ↑ "LIMSource Email Broadcasts 091201" limsource.com. 12 September 2001. Retrieved 09 May 2011. ↑ "ACT Medisys Ltd (Misys PLC) acquires CDS Group" Thomson Reuters. 12 April 2000. Retrieved 09 May 2011. ↑ "Investment Bank Pegasus Intellectual Capital Solutions Announces Acquisition of ClinLab, Inc. by Medytox Solutions, Inc.". PRWeb. Vocus PRW Holdings, LLC. 03 April 2014. http://www.prweb.com/releases/2014/03/prweb11717692.htm. Retrieved 04 April 2016. ↑ "CollabRx Stockholders Approve Merger With Medytox Solutions". GlobeNewswire. GlobeNewswire, Inc. 30 October 2015. https://globenewswire.com/news-release/2015/10/30/782113/10154732/en/CollabRx-Stockholders-Approve-Merger-With-Medytox-Solutions.html. Retrieved 04 April 2016. ↑ "Allscripts and Eclipsys to Merge, Creating New Healthcare Information Technology Leader" Allscripts. 09 June 2010. Retrieved 09 May 2011. ↑ George, John (11 February 2010). "NextGen of Horsham to include Opus Healthcare". Philadelphia Business Journal. http://www.bizjournals.com/philadelphia/stories/2010/02/08/daily36.html. Retrieved 09 May 2011. ↑ "HealthTech Unifies Brands as MEDHOST, Names Herrod as President". MEDHOST, Inc. 16 December 2013. Archived from the original on 25 March 2014. https://web.archive.org/web/20140325160131/http://www.medhost.com/news-and-events/press-releases/HealthTech-Unifies-Brands-as-MEDHOST. Retrieved 16 September 2014. ↑ "Impac Medical Systems acquired" San Jose Business Journal. 04 April 2005. Retrieved 10 May 2011. ↑ "IMPAC Medical Systems Acquires Laboratory Information Systems Company; Acquisition of Intellidata, Inc. Provides Integrated Laboratory Results For Cancer Specialists" Goliath. 16 May 2002. Retrieved 10 May 2011. ↑ "NTT DATA Completes Acquisition of Keane International, Inc". Keane International. 03 January 2011. Archived from the original on 13 January 2011. http://web.archive.org/web/20110113134207/http://www.keane.com/keane-insights/press-releases-03-jan-2011.aspx. Retrieved 06 May 2013. ↑ "NTT DATA expands to form single brand and organisation". Keane International. 28 February 2012. Archived from the original on 19 September 2012. http://web.archive.org/web/20120919192942/http://keane.com/keane-insights/press-releases-28-feb-2012.aspx. Retrieved 06 May 2013. ↑ "LABOTIX Automation, Inc. - Our Company - History". LABOTIX. Archived from the original on 06 July 2011. https://web.archive.org/web/20110706184300/http://www.labinterlink.ca/company-history.htm. Retrieved 03 March 2014. ↑ "Cerner Has Acquired Labotix Automation Inc". Cerner Corporation. 18 March 2013. http://www.cerner.com/Cerner_Has_Acquired_Labotix_Automation_Inc/. Retrieved 03 March 2014. ↑ Burns, Joseph (20 March 2013). "Cerner Corporation Enters the Clinical Laboratory Automation Market by Acquiring Labotix Automation Inc.". Dark Intelligence Group, Inc. http://www.darkdaily.com/cerner-corporation-enters-the-clinical-laboratory-automation-market-by-acquiring-labotix-automation-inc-32013. Retrieved 03 March 2014. ↑ "American HealthNet (Formerly LCI)" Scientific Computing. Retrieved 17 November 2011. ↑ "Healthland Strengthens Market Leadership with Acquisition of American Healthnet" Healthland. Retrieved 17 November 2011. ↑ "ApolloLIMS: About the Company" Common Cents Systems, Inc. Retrieved 10 May 2011. ↑ "Allscripts closes acquisition of McKesson’s Enterprise Information Solutions business". Allscripts. 02 October 2017. http://investor.allscripts.com/phoenix.zhtml?c=112727&p=irol-newsArticle&ID=2304096. Retrieved 15 January 2019. ↑ "McKesson EIS and Allscripts". Allscripts. https://www.allscripts.com/support-resources/eis. Retrieved 15 January 2019. ↑ "IBM Closes Deal to Acquire Merge Healthcare". IBM. 13 October 2015. https://www-03.ibm.com/press/us/en/pressrelease/47839.wss. Retrieved 19 October 2017. ↑ "Welcome to Mukon". Mukon CC. Archived from the original on 25 March 2016. https://web.archive.org/web/20160325134544/http://www.mukon.co.za/. Retrieved 16 August 2016. ↑ "Welcome to Mukon Informatics". Mukon Informatics (Pty) Ltd. Archived from the original on 16 August 2016. https://web.archive.org/web/20160816182935/http://www.mukon.co.za/. Retrieved 16 August 2016. ↑ "Multidata". Multidata Computer Systems, Inc. Archived from the original on 13 September 2017. https://web.archive.org/web/20170913102237/http://www.mul.com/. Retrieved 19 October 2017. ↑ "Neusoft: Healthy Life by Technology". Neusoft Medical Systems Co., Ltd. Archived from the original on 25 January 2018. https://web.archive.org/web/20180125012736/http://medical.neusoft.com/en/. Retrieved 19 January 2019. ↑ "HYBRID - NLFC, INC." Trademarkia. Retrieved 17 November 2011. ↑ "Site indisponible". Archived from the original on 05 February 2015. https://web.archive.org/web/20150205092516/http://www.sotraig.fr/. Retrieved 03 August 2016. ↑ 152.0 152.1 Grüße, H. (July 2009). "Editorial" (PDF). Diagnostik im Dialog. Roche Diagnostics GmbH. https://www.roche.de/res/literatur/177/Diagnostik-im-Dialog-Ausgabe-25-72009-original-bc93d0c069c2de56a69558b6f43fb4ef.pdf. Retrieved 20 October 2017. ↑ Stahl, A. (17 October 2018). "Leiss Lutz Advises Roche on the Sale of Roche Diagnostics It Solutions GmbH to Nexus AG". Gleiss Lutz. https://www.gleisslutz.com/en/GL_Roche_Ver%C3%A4usserung_Roche_Diagnostics_IT_Solutions_eng.html. Retrieved 17 January 2019. ↑ "NEXUS AG signs contract to take over the laboratory information system SWISSLAB". NEXUS AG. 12 October 2018. http://en.nexus-ag.de/web/0/inter/?act=art&act2=show&art_id=dc_2018_10_12_253a7858af7425de84. Retrieved 17 January 2019. ↑ "Cegeka vision and mission: ICT in close cooperation" Cegeka. Retrieved 10 May 2011. ↑ "Week in review" South Florida Business Journal. 24 July 2006. Retrieved 10 May 2011. ↑ "GE Medical Systems to Acquire Triple G Systems, Leading Independent Developer of Laboratory Information Systems" HighBeam Research. 26 June 2003. Retrieved 10 May 2011. ↑ "CliniSys Solutions Limited" Companies in the UK. Retrieved 10 May 2011.